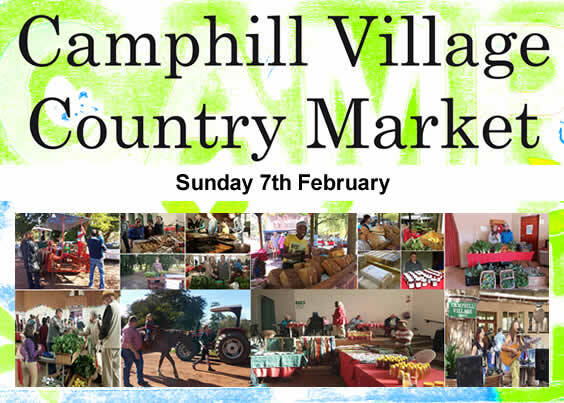 That’s right, the first Camphill Market for 2016 is just around the corner and we have some great things in store for you. We have added a sand art stall to our entertainment section for the kids, conveniently situated near the coffee shop, so mom and dad can keep an eye on them while enjoying their favorite treats. 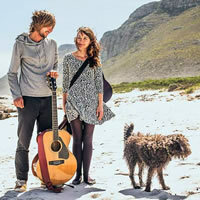 To mark the first Camphill market for the year we will be enjoying the musical stylings of Faye & Wren, who were a big hit last year with their collection of folk acoustic melodies. Camphill Country Market truly does have a great selection of vendors and items to choose from, from fresh wholesome greens, spectacular healthy bread, our famous dairy products, amazing natural cosmetics, jewelry, great home products, books, clothing, and so many delicious food options and confectioneries. If you have not seen it yet, we also have created a colorful big top over the playground and sitting area, so you can come and relax in the shade, between shopping and fun. The book store first opened at Camphill market, tucked away in the back of the nursery shed. It soon became popular and Peter began to trade books and receive donations from visitors. As the market grew, so did the book stall and over the years his books could be found in the coffee shop, the village stall, or on market stalls. Towards the end of 2015 it was decided that Peter needed his own space and he now has his very own book shop, set up next to the Camphill Village Store. Peter explains that he only learnt to read at the age of 17; he was taught at Camphill with the help of some tutors and took to reading all the great children’s books that he had missed out on as a child. He soon progressed to fantasy and sci-fi novels. His current favorite genre is detective novels. He lists amongst his favorite authors: Jeffery Deaver, James Patterson, Alan Dean Foster and Teresa Frohock. 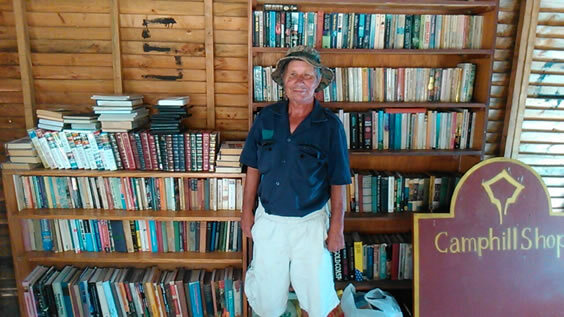 Next time you are at the Camphill Market, why not pop in to Peter’s Book Store and see what literary treasures he has for you. 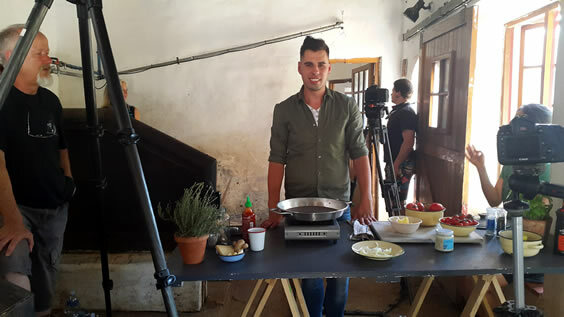 Herman Lensing, Food Editor of SARIE, is exploring single ingredients and finding their sources, discovering how they are produced and then cooking with the ingredient for the producers of these fine foods. Herman started here at 6 o’clock the morning by milking a cow, making cheeses, cream and then using Camphill products to make a gourmet meal right there in the dairy. What a wonderful team and fantastic food. We will keep you posted when it will be televised. 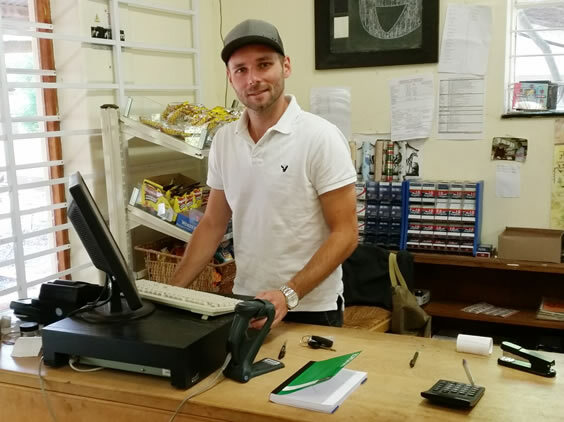 As part of their "Sharing of Skills" programme, organised by Rays of Hope, we were linked up with Paul Kruger, a German accountant who joined us for three months to assist us in two projects. Paul was given three months leave from his company, and came over and lived and worked with us. 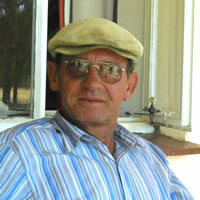 He assisted in setting up our point-of-sale system in our shop, and developing a costing programme for our dairy. This has been very valuable for us, and also for Paul, the rewards were enormous. "To be honest, every day in Camphill was a highlight", he reflected, "especially to get to know so many awesome people and stories. 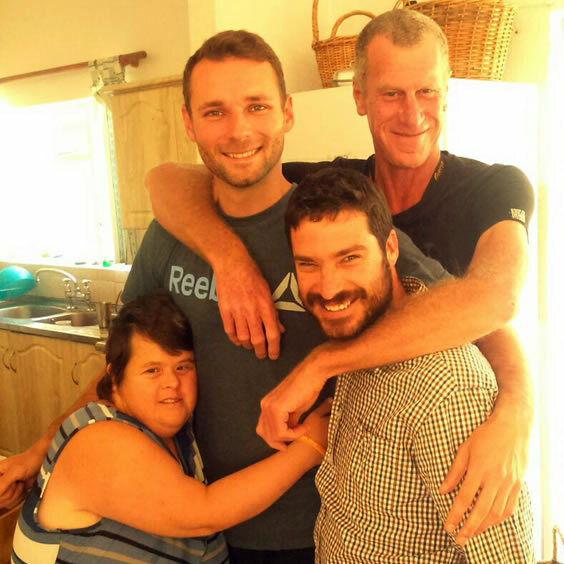 The life in Camphill has changed my point of view regarding many things in my life"
Paul lived in a group home and became part of the family for three months. Although this was a very new experience for him, it became something he cherished most. " If you ask for a specific highlight I would say living together with my Hayley :), celebrating my birthday on a market day and of course the music festival." It is such a pleasure when, in life, these win-win situations are created in which everyone benefits. 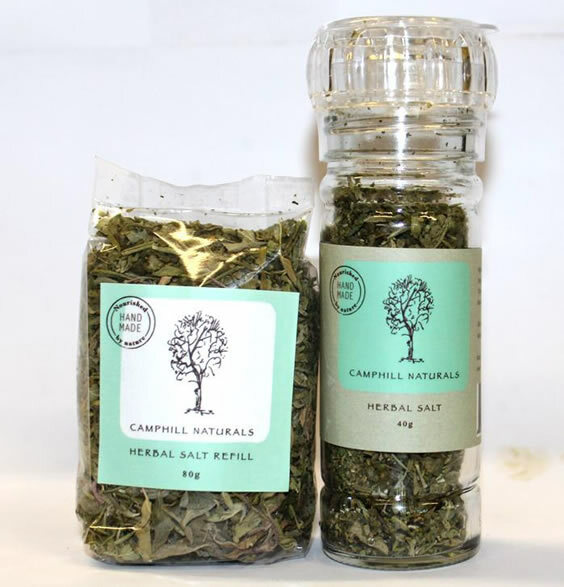 This month's spotlight is on our ever popular Camphill Herb Salt, a great blend of your favorite kitchen herbs. Blended to be a tantalizing addition to your meals, it's great for preparing roasts, salads, and goes wonderfully with pasta. As an added benefit it helps to support the body, supplying essential nutrients, minerals and vitamins. It contains: natural sea salt, origanum, thyme, basil, nettle/ nasturtium and rosemary. It comes in a 100g cellar and an 80g refill pack from selected retailers and Camphill Store. When next you look at your herbs in the kitchen take a moment to imagine what they add to your life. Flavour to be sure, how about nutritional benefits, zinc, iron, magnesium, calcium, other minerals and vitamins. Who cannot look at a herb and be reminded of the alchemy of the early sages, the romance of Emerson and passion of doctors. Herbal medicine played such a big part of our human history and was used as the main source of treatment or synthesis up until 1949. It has been said that China has been using herbal medicine for over 5000 years. In today’s society we really do look for quick fixes and patches. It is easy to do, but prevention is better than cure. With the relentless heat and water restrictions, our once lovely garden at Malachite has taken a huge setback. Talk about “scorched earth” – we have had a mini Gobi Desert here since the heatwave. Then, our Man in Charge of the Landscaping, Hendrik Potgieter decided that enough was enough. Rallying the residents, he got rid of all the dead and dying plants. We ordered a load of manure from the farm and some herbs from the garden and set out to create a medicinal and culinary garden of note. It is still in its infancy, but what a difference it has made to our morale. Buckets of bathwater, shower water, dogs water dishes – all are emptied onto the plants. Hendrik supervises a watering with the sprinkler once a day and already we are seeing the buds of new leaves on the herbs that we have planted. There is a lesson in teambuilding here. We are all immensely proud of our new venture and a really big “Thank you” to our Hendrik who has taught us that there is great fulfillment in appreciating the beauty of nature. I recently moved to another house in the village. While packing to move, I had a good chuckle at myself as my toiletry set now consisted of: Jojoba oil, lavender oil, Jamie deodorant, shaving soap and toothpaste. A far cry from two high-end colognes and the collection of creams, aftershaves, a multitude of face, mouth and hair care products I used to use. To be honest, if you had asked me a few years ago what I thought about herbal cosmetics, I probably would have let my silence do all the talking. Although I can distinctly remember when my interest was ignited: I was volunteering on a small permaculture farm in Clarence, Free State and that evening I had been attacked by what appeared to be a swarm of very hungry mosquitoes. From top to toe I was covered in lovely red bumps and it was not pleasant. The owner picked a piece of bulbinella and told me to rub it on. Hey, I was all for medicine but the goo from this strange looking plant had me rolling my eyes. To my shock and awe, within 10 minutes, not only had the itching subsided but the red bump was gone altogether. I'm not sure if it was the relief, or being so overtired but It was as if I had just discovered electricity, I was completely ecstatic! From that moment on I was hooked. Not long after that I got the opportunity to work in the herbal cosmetics workshop at Camphill. 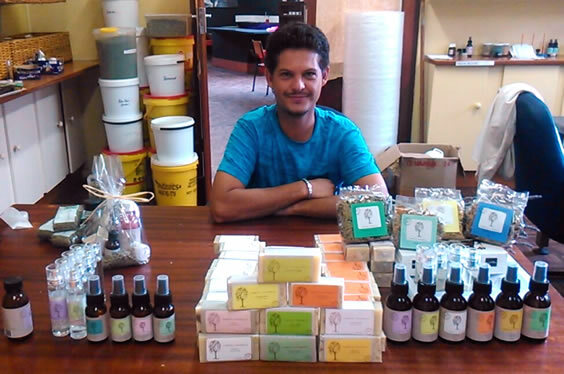 Being here, getting the opportunity to work with these wonderful people, being able to create new products, discover properties and benefits of herbs, assist people when they come with requests, explore these markets, cultures and lifestyles… I tell you, it is so rewarding, it’s life changing. Now to be fair, I still hate to spend more than an hour in the kitchen but I could quite happily spend the entire weekend making soap, mixing herbs and deodorants. Creating products that people want and love, that are actually good for them and smell fantastic. This is the life, one I am eternally grateful for. It’s amazing to know what others don’t, about our wonderful bread, especially for me, working in the bakery for 17 years. 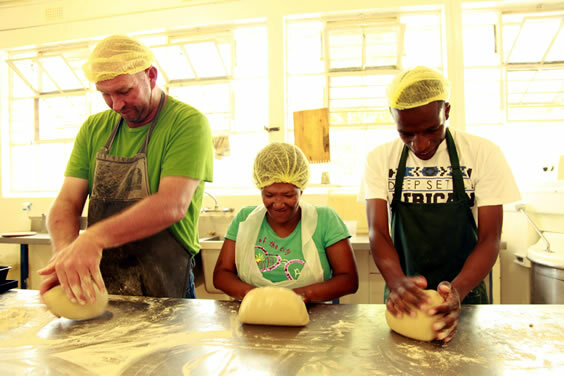 It has been a great journey and still is, being able to assist with baking each and every bread that is going out. Also my belly has been smiling because I enjoy the bread! We have learnt that a happy baker makes healthy bread. Our Rye bread takes 24 hours to make, and sometimes people eat a whole loaf in 10 minutes. We have to start at 4.00 in the morning, but I don't mind, because I am proud of the bread we make. Walter Barbour, one of our senior residents who turned 80 in February last year, came to us already in Hermanus to the Senior Training. He was with Julian and myself in Cloister House, and when Camphill Alpha started, which is now known as Camphill West Coast, he joined us here. He has been a long standing faithful friend. A quiet, silent observer, a witness to the Village as it grew, developed and expanded. He was more of an observer than a worker, but would do his share by drying up dishes in the kitchen, rug making and also worked in the dolls workshop. He was a silent man who needed peace and silence. He never went home on holidays to Johannesburg as it was too noisy for him. 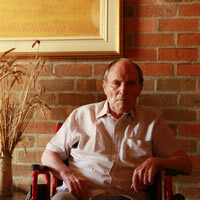 When life in the house became intense, he would retire to his room and often to bed. In the last few years he was in one of our care houses, first Grover then Ferry. He had various illnesses such as cancer of the bladder, but somehow it healed and he rose over it. He was a faithful member of the Christian Community and would always be at Church. During December he withdrew more and more, and during his last days refused to eat or drink, by firmly closing his lips. It was time to go home. He had his anointing service from Richard on the 31st of December and then died peacefully on the 1st of January 2016. He did not have many friends; he walked a lonely road, observing the world from a distance. His greatest friend was water; he loved to turn on the taps and watch the water running, washing his hands or an odd plate or spoon. Water washes clean and purifies the soul. Born on the 2nd of February, in the sign of Waterman, he has returned home with a soul that seems washed clean and is pure. He leaves behind a loving family who accepted him and always tried to understand him. Georgina Frame moved to Grover, a frail care house, in September 2014 and she fitted in very well. 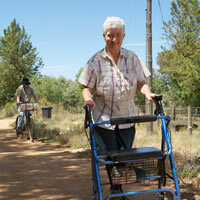 Her amazingly strong will kept her busy, not even her physical disabilities could stand in her way. She did her daily duties without fail, cleaning tables after meals, folding clean clothes and sometimes sweeping the stoep. When Georgina was not feeling well she would still try her best to make her bed and sweep her room 7 to 10 times a day. Georgina always wanted to know what was going on in the village, so she made sure that she read our weekly program every day. In her free time she liked to do word search, colouring in of pictures, playing games or writing to or praying for ill people. Georgina was a faithful member of our church. I was born in Cape Town. I have two older sisters but only my oldest sister lived with my mom and me. My other sister stayed with my aunty, near Strand, and I don’t know my Dad. I went to Nooitgedacht Primary School until grade 5, then I had to stop because I was already so much older than all the other children. After I finished school, I stayed at home with my mom, she only worked sometimes in the morning. I stayed with our neighbours when she was not at home. My mom wanted to send me to Oasis but I really didn’t want to go there. So my sister took me to a social worker and she suggested Camphill to me. The social worker came and saw me at my house a few times before she took my mom and me to Camphill for a visit. It was quite big for me but I said that I would come for a trial visit. After my trial visit I was not sure if I liked it or not, I was in the middle, but it was my decision and I came back and now I have been here for 14 years. Camphill is like a family with brothers and sisters. Here I can walk around free and visit my friends and do more things like baking and cooking. I can also go to work here. At my mom’s house I would have to stay at home all day. Camphill is my home but I really would love to travel. I heard so much from our young co workers about their country, how green it is, that the trees get yellow and red. And I would like to play in the snow, build a real snowman. 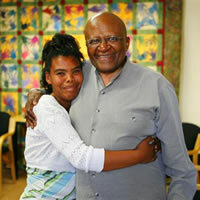 Thank you to Bob & Claire who contacted me and offered to sponsor a resident. A heartfelt thank you from all at Camphill and especially the resident whose life you have changed. You have truly given her the gift of a normal life. Thank you. And thank you Michael from Switzerland who attended our inauguration and was so taken by Camphill that he offered to contribute to our sponsor a resident program. I want to thank all who have enquired about our sponsorship program, please know that even if you sponsor for a day it will make a difference. And an added bonus is this gift is tax deductable. 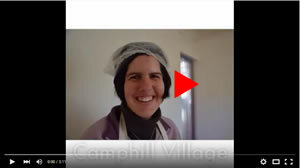 Camphill is a registered, compliant Non Profit organisation. More about it below.